You are planning a few days’ stay in Saigon (or HCMC). You go online for tips on traveling there as well as where to go. Given the sheer number of material on the subject, it is hard not to feel overwhelmed. Here is my suggested list of things to do, then, a mixture of the popular and the not-so popular. I have actually been to HCMC three times. The first time I went there, I couldn’t stop myself from going around, tasting, seeing, feeling. I felt that I had to experience everything in the short time given to me. The second time, I went slower, but met more people, interacted more, talked and listened more. By the third time I went there, I had learned to settle down. I had then felt at home in Saigon. So this brief list is highly subjective. Pick and choose as you will. There are a lot of taxicabs as you go out of the Tan Son Nhat International Airport. To make sure you won’t get cheated, choose the government-owned Vinasun taxis. Here’s where you can stay in Ho Chi Minh City. Mai Linh is also a good choice. The taxi is metered, and the fare to District 3 was around 80,000VND, so for District 1, it would be about 100,000VND+, depending on where you will stay. If you are an adventurous eater, you can order a banh mi (sandwich) and a ca phe sau da (coffee latte) in any of Saigon’s side streets. 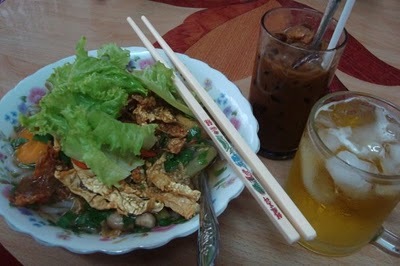 The sandwich can be meat or vegetarian and the price ranges from 6,000 to 15,000 VND. This is what I loved most in HCMC, aside from its soup! If you hanker for pho (soup), hail a xe om (motorbike taxi) from wherever you are and ask to be taken to Pasteur St. Near the end of Pasteur is the famous Pho Hoa, an excellent restaurant offering all kinds of pho dishes. The servings are huge and the price is very reasonable (HCMC is generally cheap for me!). In the afternoon, if you want to take in the cultural tour of the city’s museum and landmarks, I suggest going to Sinh Café (now known as The Sinh Tourist) in Pham Ngu Lao St to book a half-day tour of the city. Among the places you will cover are the Resurrection Palace, the War Remnants Museum, the Post Office, and the Notre Dame Cathedral. Travel packages are cheaper in HCMC than going to these places singly. If you’re not tired yet, you can close the day by going to the Benh Thanh Market in District 1. It sells all kinds of touristy stuff and kitsch, but you can find good deals. Just remember to bargain! Like the Chinese, they expect you to haggle. At night, the side streets outside Benh Thanh are converted to sidewalk restaurants. Just find a seat and order. Watch the Vietnamese go by. Unlike in the Philippines, you cannot find dirty street children in Vietnam. All of them are dressed in clean clothes and nobody will beg. They will just sell you all sorts of things, most commonly gum and lottery tickets. Just smile at them. There is also an active nightlife in Saigon, though regrettably only up to midnight. I found Havana Bar very nice, because they have Filipino bands playing every night. 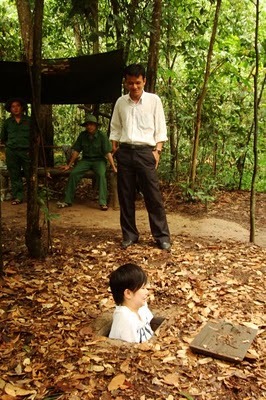 If you decide to go to the Cu Chi Tunnels, it will take you the whole morning there. If not, there are other things you can do! Go to Benh Thanh Market and wait for the bus going to Cholon (ask the locals which bus it is). It is quite far, and by taxi it will be about 80,000 VND. Bus fare is only around 3,000VND, so it’s a great bargain. Cholon is Chinatown. It’s a very colorful and interesting place. You can go into Binh Tay Market to find stuff to take home to friends (it’s cheaper here than in Benh Thanh). You can also walk around Cholon and eat at the numerous Chinese restaurants there. When you’re done, just take the bus (there’s a terminal there) going back to Benh Thanh. You have a number of options here. What I loved to do was to walk around. I would start in Benh Thanh, for example, then cross the park, go to Pham Ngu Lao, and just wander around. If you get tired, sit at a sidewalk café and order ca phe sau da. You can get open wifi signals most of the time, but usually, I just watch the people passing by. Another option is to walk along Le Loi, Le Lai, and Dong Khoi Streets. 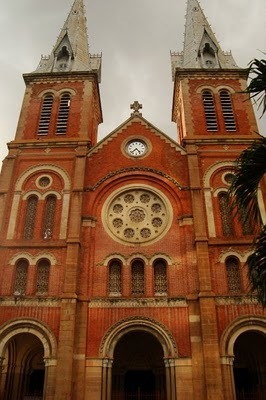 There are many wonderful buildings and shops in Dong Khoi, still reflecting its French heritage. I had my ao dai (Vietnamese dress) tailored in one of the shops there (top only=$25). For duty free shopping, the Saigon Duty Free Shop is just in the corner of Le Loi and Nguyen Hue. Grocery items here are so cheap! Afterward, have coffee in the Highlands Café at the top floor. From there, you can see across to Rex Hotel, and look down at the busy intersection leading to the Opera House (the Opera House and the People’s Committee Building are best seen at night). When crossing the street, look both ways. The traffic rules in HCMC seem to be “suggestions” only. Motorbikes can come from any direction so make sure you remember this. During rush hours (5pm for example), even the sidewalks are not safe. The motorbikes will occupy any open space. Just remain vigilant. Address everyone with a Ms or Mr. Only really close friends or relatives omit these titles when addressing someone. There are a lot of internet cafés here, but Facebook is banned. I must say, however, that what I enjoyed most about Saigon was my numerous walks along the city. I can never have enough of it! Someday, I will be back. That’s a promise to myself that I fully intend to keep. I have fully succumbed to the charms of Vietnam, and hopefully, someday, I can spend a longer time to savor its beauty. For tips on what to eat in Saigon, read my posts on Vietnam in Adventuring Foodie. Can you recommend a tour operator for our 2 days stay in Ho Chi Minh this Aug. 2015? I always used The Sinh Tourist. Their office is in De Tham St. in District 1, left side if you’re coming from Pham Ngu Lao. I find this blog so helpful since I am going to saigon this august..alone. 🙂 It is really a new experience for me, to travel solo. I made this decision because I’ve been really irritated with my friends who said they wanted to go but in the end, they keep on pushing back, that’s why I decided to book on my own and just settled with “come what may”. And then that’s why I keep on looking for blogs or articles about women traveling alone, and it has been liberating! I never felt this excitement before. I was inspired especially when I saw your blog, and that only keep my spirits more high. Its really a dream to go on traveling and explore the world. So I just want to thank you for being really an inspiration. This June I am coming to singapore alone too, I know its safe to travel there. But my concern is my vietnam tour, since ive been reading not so good reviews it especially for women. I want to book a hotel room earlier but I am not yet decided where district is the safest and best to stay. I would appreciate any suggestion. Thank you. Sorry for the very late response! How was your trip? Yikes, I should have replied sooner! Thanks for a great post! 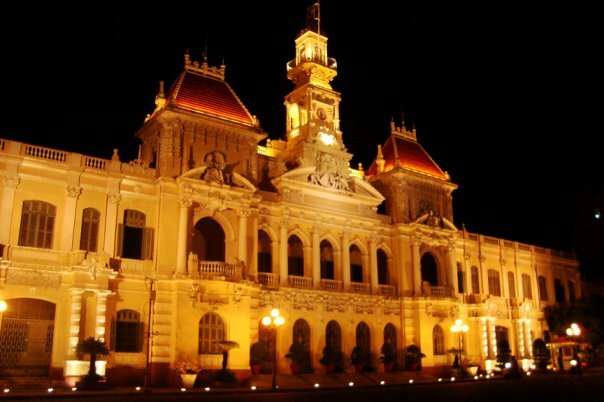 You posted it some years ago, yet top things to do in HCM City remains attractive, and you are right about it: always great to do these things. I liked your tips though how to cross the streets. Lots of tourists got trouble with that! Great tips, thanks a lot again for sharing this. 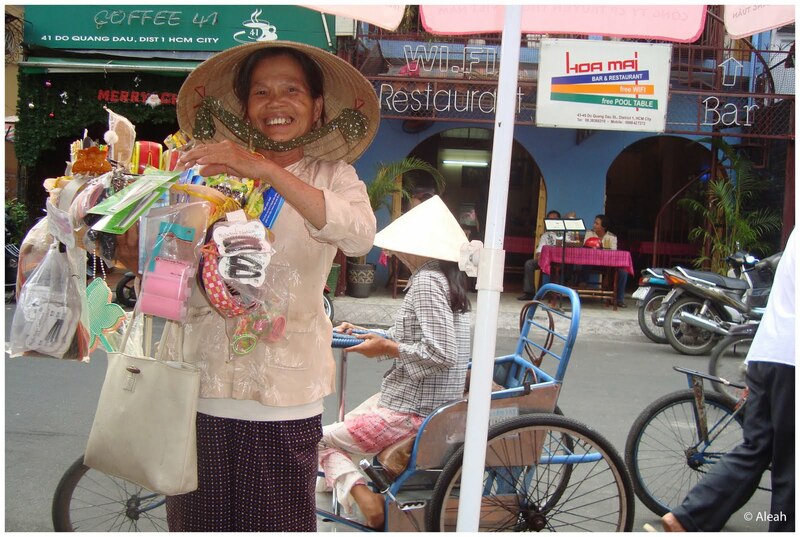 Btw, the tips can be a post generally for all Vietnam, not just HCM City! Thanks a lot for the immediate reply. I’m from Manila. I’ve check with Cebu Pac and I think the direct flight to Reap will only start by April 19. Much thanks for the inputs. Hope I can still spare some budget to extend my stay…as i’m really contemplating of ditching my flight back so I could spend more time in Reap or Saigon. @ Joyce: You don’t need a travel agency. Just book online 🙂 When you go out the airport, there are a lot of taxis there. Take only Mai Linh or Vinasun. If there are none, negotiate with the driver first how much the fare will be. If you’re going to district 1, it should not be more than 120,000VND. @ Maurice: April 4 to 7 is too short to see both Saigon and Siem Reap. You need a full day to see Angkor Wat, and it’s better to start by seeing the sunrise there. If you can’t go back for it, I suggest buying the ticket and immediately going there the same day you arrive in Saigon. I’m not sure where you’re from, but if you’re from the Philippines, there’s already a direct flight from Manila to Siem Reap so either ditch the HCMC tickets and buy a new one, or reserve SR for another time. 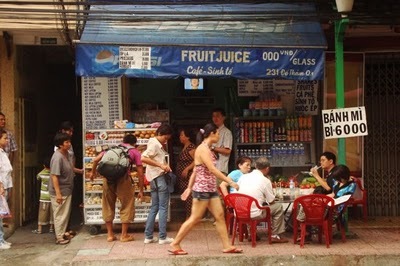 In Saigon, stay in the backpacker’s district (District 1) as it’s very cheap there (less than $10/night). You can find hotels through Hostelworld.com. Thanks for these travel tips. I’m booked to HCMC this April 4 to 7. Part of my trip is to visit Angkor Wat (Siem Reap) however I have not purchased my ticket yet from HCMC to Reap. Would it be easy for me if I just buy my ticket at HCMC airport or better if I get my tickets here? As I’ll be travelling alone, what hotel in Saigon can you suggest? I prefer to stay near the market as I’d love to try their local dishes. Normally, what is the price range of their hotels? I trust you and your suggested itineraries and will definitely use it being a first timer. Thanks for sharing your blog link with me. Cheers to travel and to our fellow couchsurfers! 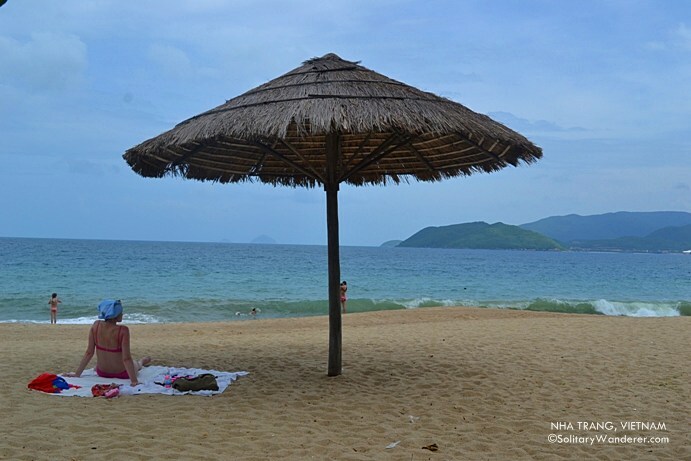 I wanted to check if you’ve gone to other areas of Vietnam like Hoi An, Hue, Nha Trang and Halong Bay? I’m going there on May and would really love to hear about your stories on it. can’t wait to sit and have coffee and stare at nothingness! thanks for the recommendations aleah!